Here is just a brief update on GRM Medical Missions. We are working through Native Leaders who know the customs, a trade language and are willing to wait upon God for the right timing. An event, a disaster, or a reoccurring disease found, leads them to move in with the right medicine at the right time and they know – DOORS will OPEN! EVEN GOSPEL RESISTANT PEOPLES BECOME VULNERABLE! Peoples, villages, and even bonafide tribes (Rev. 5:9) that have hardened themselves over the centuries can radically change through a FAMILY DOCTOR! I’M REALLY DATING MYSELF NOW! 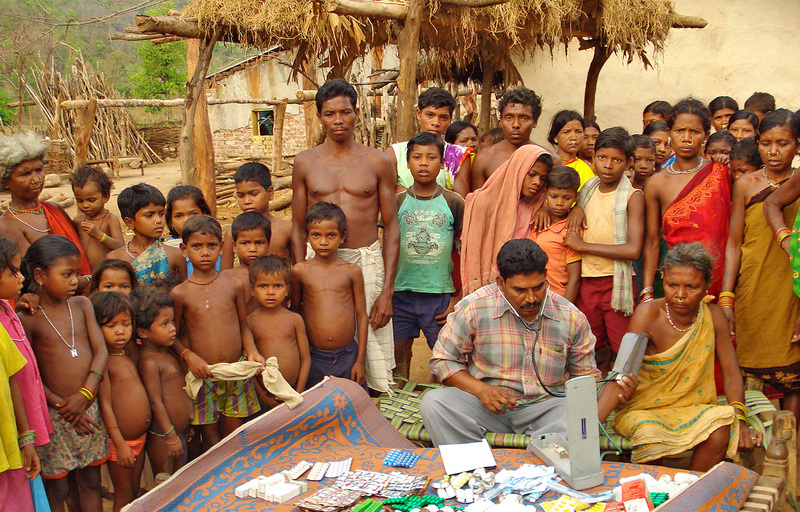 Most of you can’t imagine that family doctors once visited our homes – IN TIMES OF EMERGENCY! You may have seen this in some old movies. In fact, I remember when I was 8 years old and overheard my mother complaining that the family doctor was not going to homes much anymore. There are times in our lives when we just want to see the doctor and no one else! THERE ARE THINGS YOU SHARE WITH DOCTORS THAT ONLY THEY KNOW ABOUT! This is universal around the world! Something deep within us desires this kind of caring that is very similar, in some respects, to a mother’s love. This is a great secret in Medical Missions. You live in a remote village high in the mountains. There is no clinic— which means no aspirin, no ibuprofen, and nothing for stomach cramps. Your last aspirin ran out a year ago. You and your family have severe flu-like symptoms, including dysentery for going on 3 months. Your head is pounding and you’re desperate. You don’t know what is wrong with you. Older people and infants are dying — FEAR GRIPS YOUR HEART! The nearest clinic is more than 25 miles away. You have to walk because you have no car. You don’t even have a mule. You have to walk with no roads for miles because flooding has wiped out all roads…all of this in the unbearable scorching heat! This is a very accurate picture of what GRM leaders witness. Then you hear of medical teams coming to your village. A real doctor and caring helpers are coming with most every type of medicine you and your family needs. He listens intently to your problems. He writes your information down and the prescription comes– most times it’s right on the table before you! For the doctor knows what you need. Hope is lifting, despair is leaving, and healing is on the way. Finally, a little rest in mind and body. Then you begin to feel better after months of physical weakness, discomfort and pain. These people unquestionably take medicine upon our doctor’s advice, endure a blood pressure machine and even take shots like a child! When a Christian missionary doctor does this with his follow up team, their heart begins to open to the God this doctor serves in a way that is hard to describe. Praise the Lord for a family doctor! NOTE: GRM Native Leaders/Missionaries conduct medical camps in some of the most dangerous and restricted access areas imaginable. They travel in the cold & scorching hot temps reaching 120 degrees. Many areas we focus on have no road access. I have traveled with them back to one remote village by boat. On the other side, savages stood like children, when they saw the doctor. The entire village came to us! I was praying we had enough medicine to treat everyone, thank the Lord we did. They need your earnest prayers.